I'm not compromising Vincci for their shoes collection as im still and always a fan! they always come out with a fresh and contemporary design which obviously comes with an affordable price tags. so here is my brand-new shoes which i bought at about RM80 plus perhaps, couldn't really remember but its below RM100. 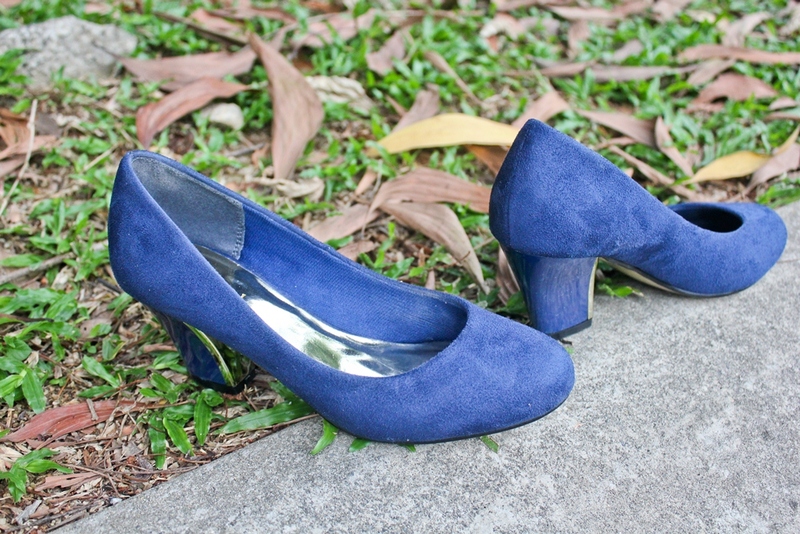 the outer velvet is very nice, it is in rich navy blue shade and my fav is the heels part. the mid heels height is just nice because i don't bother to wear sky-high heel when not attending an event and that silver finishing is just so damn chic!